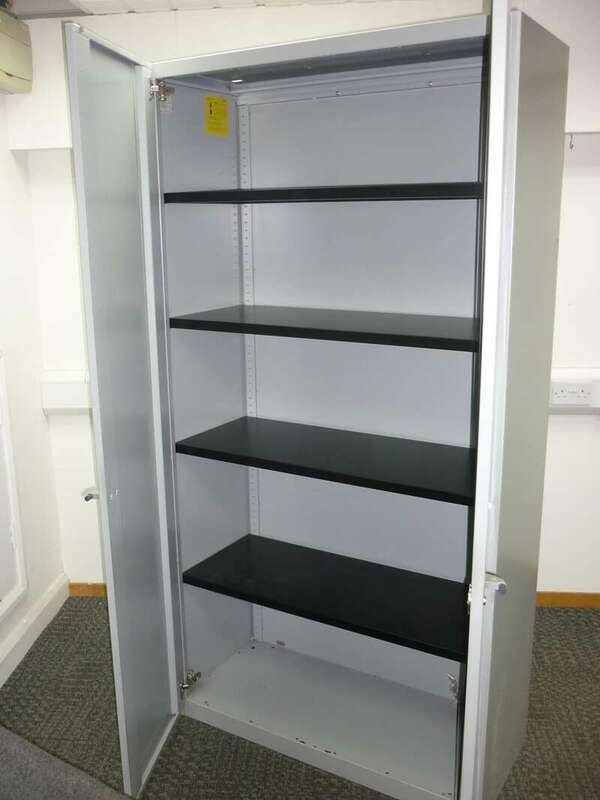 Metal double door storage cupboard. 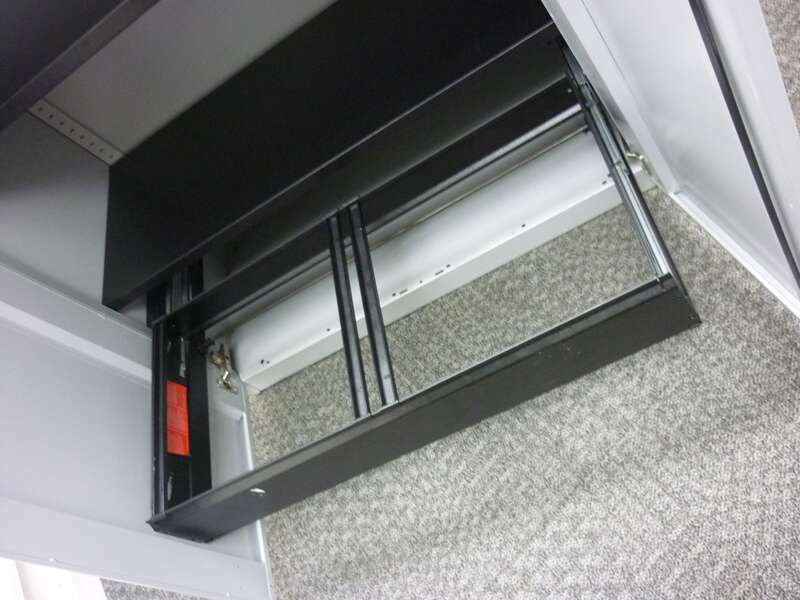 Roll out filing frames on request. 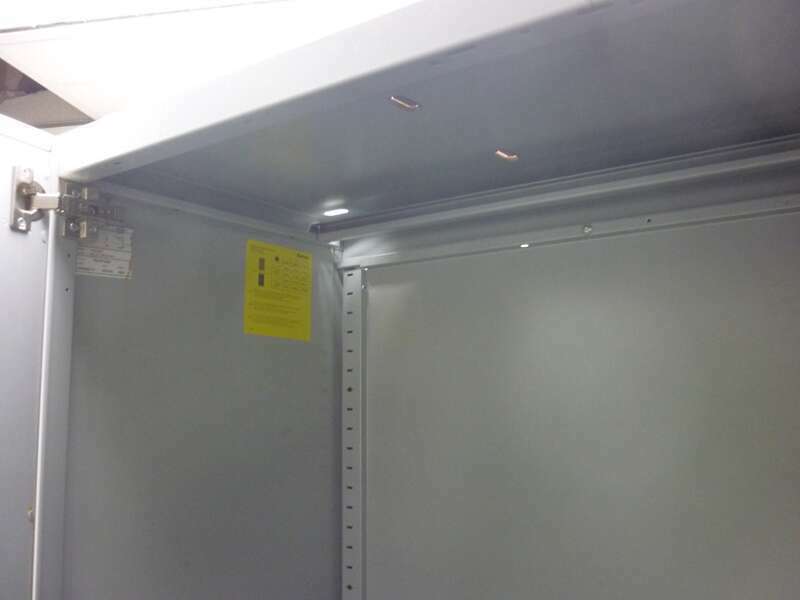 Has inbuilt lateral filing rail in roof of unit for suspension files. 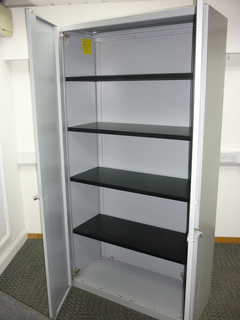 Matching 1300mm high units available.